Last week, Real Estate checked off what must be described as a common bucket list item for New Jersey rockers of a certain age — the chance to open up a Yo La Tengo Hanukkah show. But this slot wasn’t just given to the band. They have clearly earned such honors, as Real Estate has emerged as one of the best bands in indie circles these days. Days was one of the best albums of 2011, and at Hanukkah Night 4 Real Estate revealed that they have the blueprints for a worthy followup. The band opened the show with three new songs, all instantly catchy in a Real Estate way. The third new song also featured something that seemed natural for the band, but it may be the first time we’ve seen the band engage in an extended jam. And it was dead-on. We’re streaming the untitled new song below, and we hope it will continue to be one of the band’s jam vehicles. Real Estate will be going to tour in Australia in the new year. I recorded this set in the same manner as all of the Yo La Tengo recordings, the Sennheiser cards mixed with an excellent board feed. The sound is superb. Enjoy! 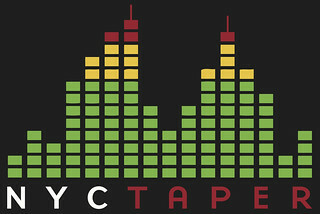 If you Download this recording from NYCTaper, we expect that you will PLEASE SUPPORT Real Estate, visit their website, and purchase Days from the Domino Records website [HERE]. Thanks for the great Christmas present – new Real Estate! !